This case study follows a woman faced with a series of difficult medical decisions. 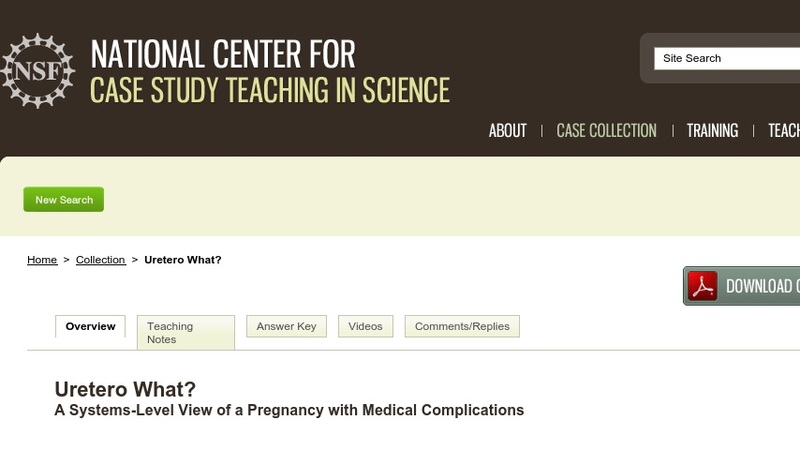 Students apply systems-level physiology as they explore a pregnancy with medical complications and discuss situations involving life-changing decisions prompted by modern medical technologies. This case could be used in an advanced biology course at the high school level, or in undergraduate courses in general biology, human anatomy and physiology, human health, human sexuality, medical ethics, sociology, or women’s studies. The case study also would be applicable to first-year medical students in a course in medical physiology as well as students in nurse practitioner, midwifery, or physician’s assistant programs.